Portrait Of A Happy Senior Couple Sitting At The Kitchen Table With A Bowl Of Fresh Salad, Smiling At The Camera. 免版權照片，圖片，畫像及圖片庫. Image 41689893. 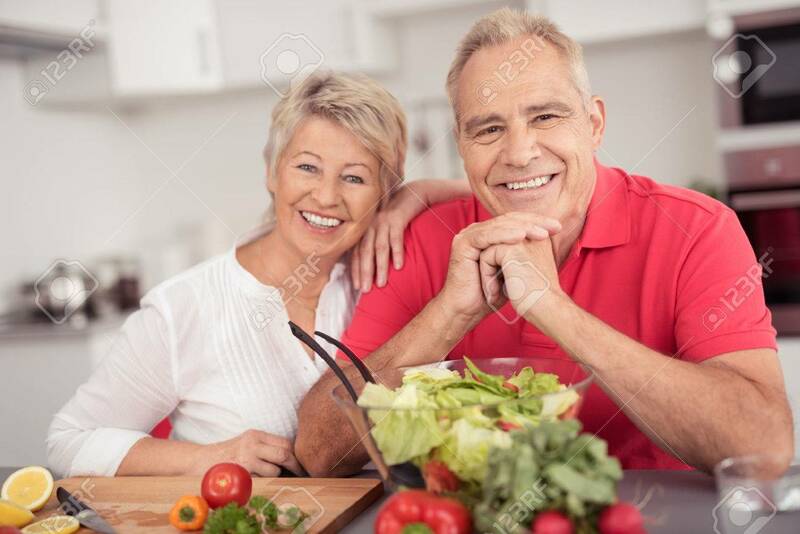 版權商用圖片 - Portrait of a Happy Senior Couple Sitting at the Kitchen Table with a Bowl of Fresh Salad, Smiling at the Camera. Portrait of a Happy Senior Couple Sitting at the Kitchen Table with a Bowl of Fresh Salad, Smiling at the Camera.